That is vacation right by the sea, in a small facility, directly on the Atlantic coast with a nudist beach. 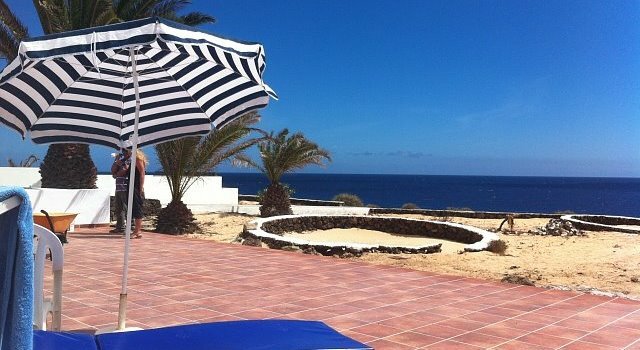 With a view of the sea from all terraces, a swimming pool in the facility, restaurants and supermarkets nearby. Inexpensive apartments that can be accessed through a small inner courtyard. Although you don't have a direct view of the ocean from the living room, you only need to take a few steps onto the pool terrace and from there you can enjoy the Atlantic. 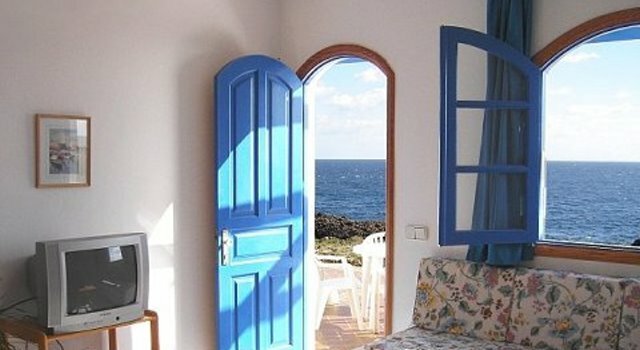 Our studios are located in the front row by the sea, with a direct view of the ocean from the living room and the terrace. We call these apartments "studios", since they consist of one large living room / bedroom. These studios come in two different sizes. 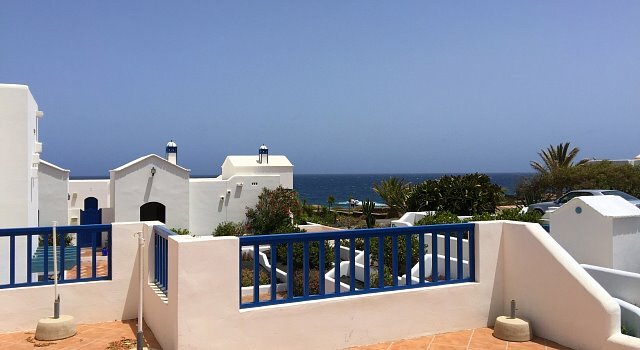 Although the Garden Apartments don't have a direct view of the sea from the living spaces, one can of course see the sea from the private terrace. In addition to enjoying the smell of the ocean, you can also relax in the surrounding garden with its plants that are typical for the island. 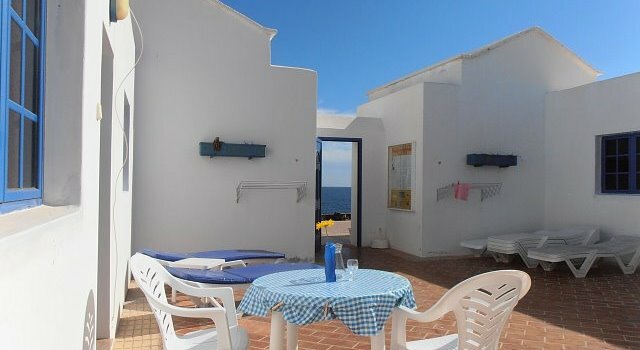 Apartments in the first row to the sea, with one bedroom, a direct view of the sea from the living spaces and the terrace. 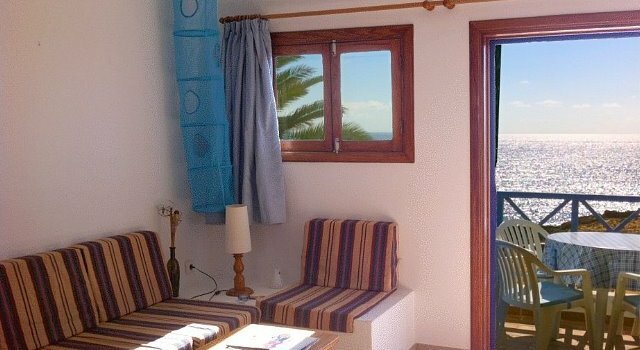 With a large sun terrace directly in front of the apartment door, the way you like it on your holiday! But do you want something more during you holidays? 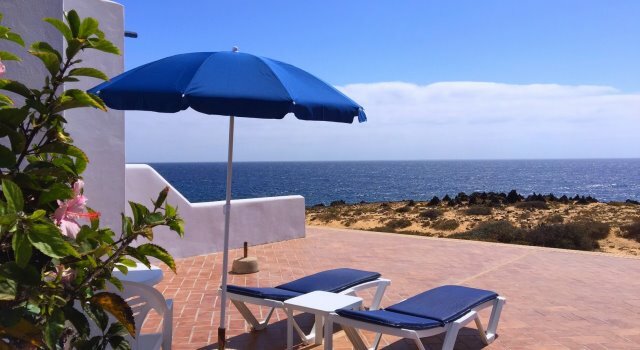 These apartments are also in the first row to the sea with a direct view, but when compared with the Sea Front Apartments they are significantly larger. Apartments with two bedrooms that are suitable for up to four persons. The bottom floor with a terrace or the top floor with a balcony. You have a view of the sea from both the terrace and the balcony, in part also from the living spaces.